Misr International University honored faculty members, administrative and support staff and special guests at MIU’s twentieth anniversary celebration in the campus lecture hall on Wednesday December 16. 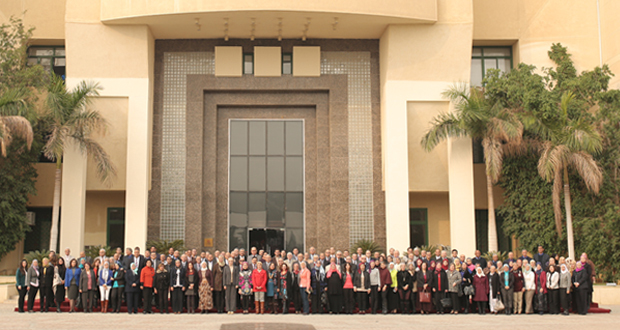 The MIU Board of Trustees honored 101 members for their contributions to the launch of the university in the period of 1996 to 2000 with special recognition for those who helped create some of the university faculties, including the faculties of Computer, Dentistry and Communications Engineering. The university also awarded shields to six deans of colleges and honored three students from the university’s first batch of graduates.